Our range of products include maximum demand control, multi-function maximum demand controller and demand control. With the help of our professional team of experts, we are providing a wide range of Maximum Demand Control. At vendors’ end, the provided demand control is manufactured using optimum quality components and pioneering technology by vendors’ technocrats. This demand control is widely used for ventilation adjustment in the electrical industry. We offer this demand control at the most reasonable prices. Backed by in-depth market expertise, we are involved in offering a broad assortment of Multi-function Maximum Demand Controller The offered meter is efficiently manufactured at vendors’ end by agile experts using the superior grade basic materials and cutting-edge methodology. 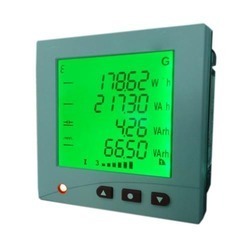 The provided meter is best suited for reading and recording data. Also, we are offering this meter to the patrons at pocket-friendly rates. 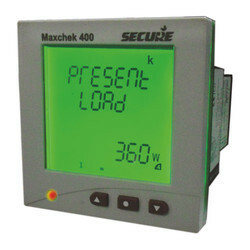 Mazurek 400 is a smart maximum demand controller with standard size 96x96 mm specifically designed for industries to keep a check on their maximum demand. It gives an alarm when demand approaches a preset value and also switches off non-essential loads in a pre-programmed logical sequence. This predictive maximum demand controller (MDC) allows stage wise load restoration to maximize the use of a sanctioned load. Mazurek 400 is most suitable for the demand control of industrial consumers, HT consumers, and commercial establishments. We are the prominent firm, engrossed in offering excellent quality Demand Control. The offered demand control is manufactured using the best grade components at vendors’ end by deft team of experts. 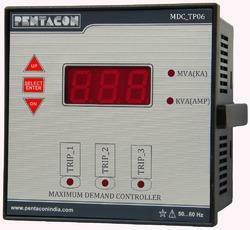 The provided demand control is used at several industries including electrical and chemical. We offer this demand control in various technical specifications at industry leading price. Looking for Demand Controller ?